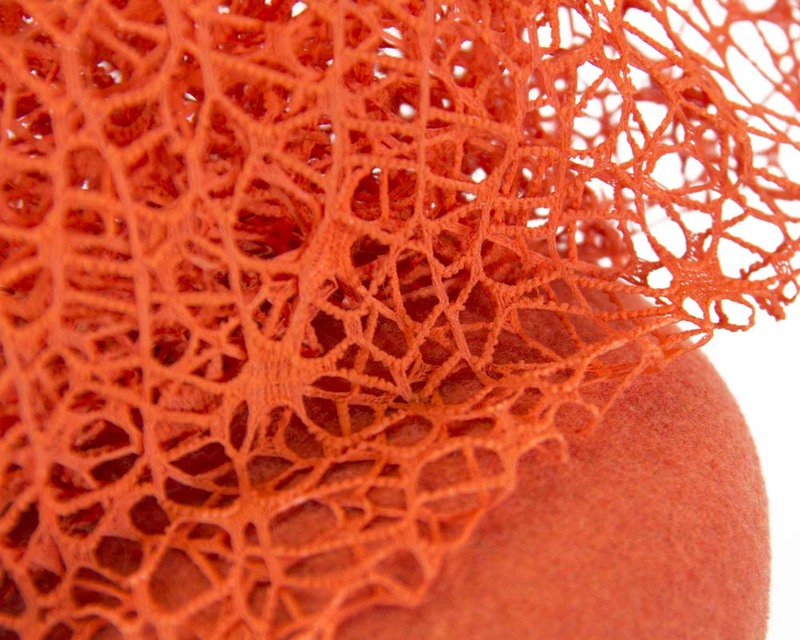 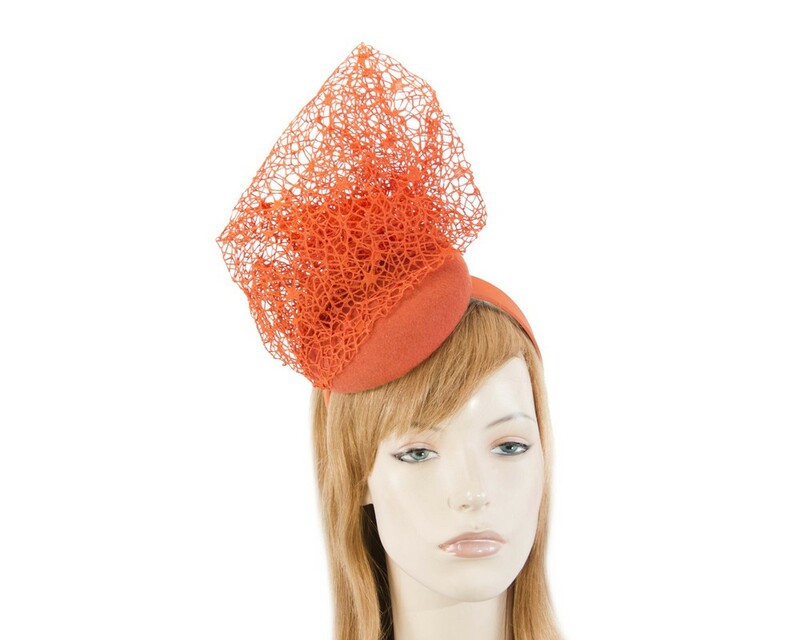 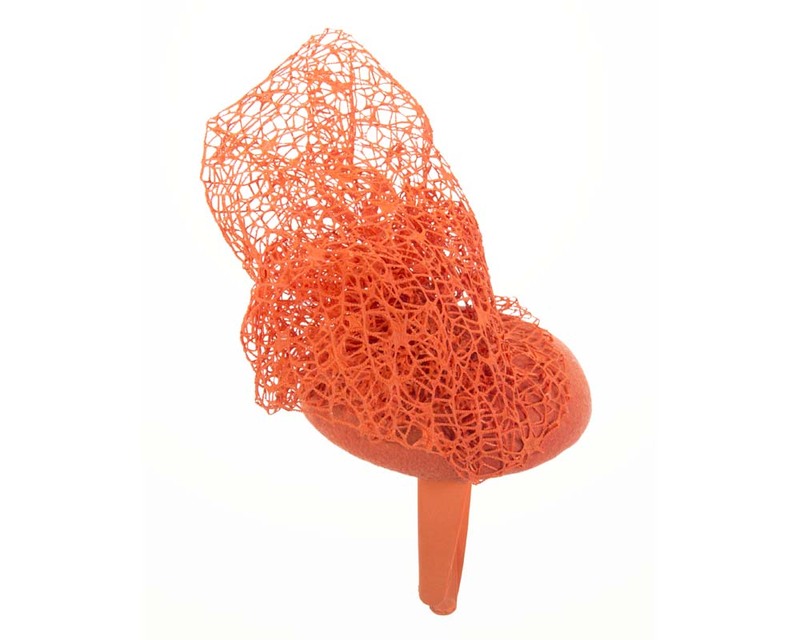 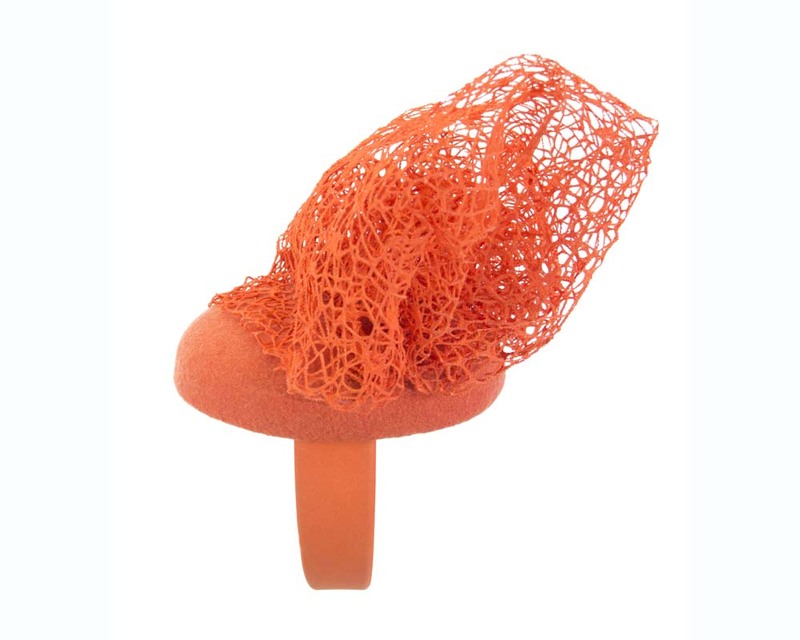 Dazzling orange winter fascinator from renown Fillies Collection. 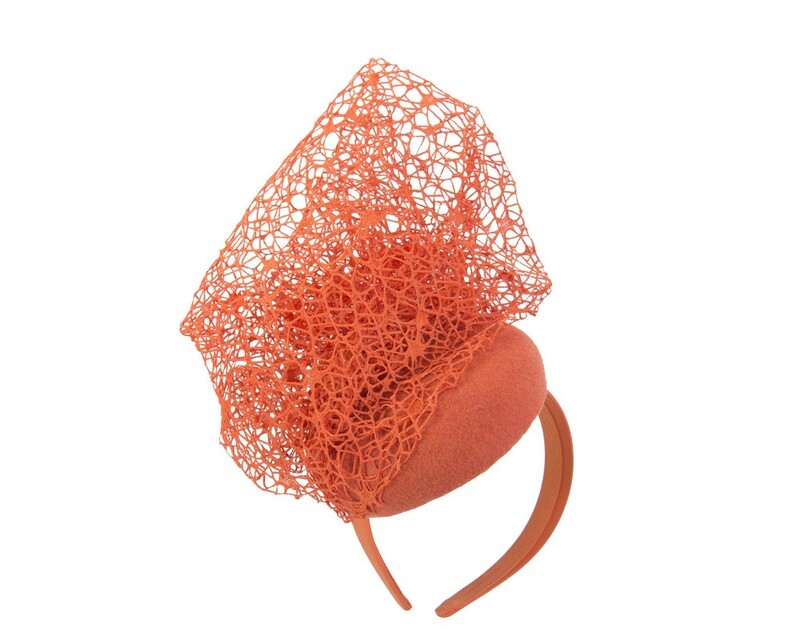 Hand made in Melbourne, this fascinator features pillbox base with specially crafted unusual trim. 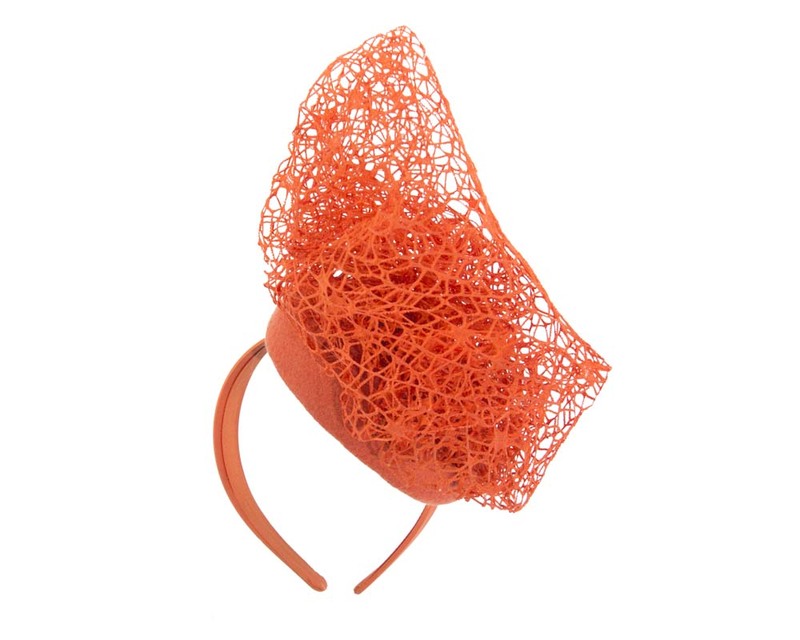 This headpiece is made in Melbourne and will be a perfect complement to you autumn or winter racing outfit.